Columbia, Mo. (Oct. 26, 2015) — The recipients of the Missouri Honor Medal for Distinguished Service in Journalism will speak about their areas of expertise in a daylong series of master classes on Monday, Oct. 26. The presentations will begin at 9 a.m. at the Missouri School of Journalism. All of the classes and presentations are free and open to the public. The speakers will receive their medals at a banquet that evening at the Reynolds Alumni Center. 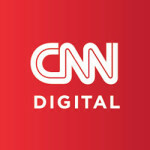 CNN Digital is one of the world’s leading digital news brands, reaching more than 100 million unique users a month worldwide across mobile and desktop. CNN Digital encompasses CNN.com, CNNi.com and CNNMoney. As the world’s most followed and fanned news organization, it is a social media juggernaut. The presenter will be Meredith Artley, BJ ’95, editor in chief. Lincoln Stephens, BJ ’03, is a former advertising account management executive turned activist, muckraker and entrepreneur. In November 2008, Stephens decided to quit his job to pursue his passion for mentorship and co-founded a nonprofit organization called The Marcus Graham Project. The organization is focused on bringing more diversity to the advertising industry through mentorship, exposure and career development. Merrill Perlman, BJ ’74, has spent most of her career as an editor, always a mentor, teacher and motivator. She directed the copy desks at The New York Times, in charge of the 160-plus copy editors across the newsroom. 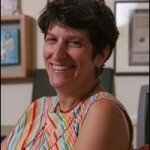 In 2008, she started Merrill Perlman Consulting, and edits high-level writers for ProPublica, Amazon Kindle Singles and Rosetta Books, among others. Assistant Professor Sara Hiles will moderate. Do Today’s Journalists Need to Take a Vow of Poverty? 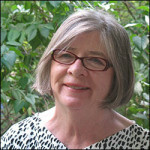 Award-winning journalist Barbara Ehrenreich is the author of 21 books, including The New York Times best sellers, “Nickel and Dimed: On (Not) Getting By in America” (2001), “Bright-Sided: How Positive Thinking Is Undermining America” (2010), and “Living with a Wild God” (2014). In 2012 Ehrenreich helped create the Economic Hardship Reporting Project as a way to change the national conversation around both poverty and economic insecurity. 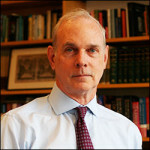 Bill Plante is the senior White House correspondent for CBS News, where his reports are seen regularly on “CBS This Morning” and the “CBS Evening News with Scott Pelley.” He has covered the administrations of Ronald Reagan (beginning in 1981), Bill Clinton, George W. Bush and Barack Obama as well as every presidential campaign since 1968. Photojournalist and documentary photographer Gerd Ludwig continues his work for National Geographic magazine, photographs personal projects, lectures at universities, teaches photographic workshops internationally and exhibits his photographs in galleries and museums around the world. 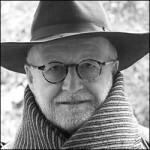 Ludwig is the recipient of the Lucie Award for International Photographer of the Year in 2006, and in 2014, the German Society for Photography honored him with their prestigious Dr. Erich-Salomon Award. Professor Mike Jenner will moderate. Professor Jacqui Banaszynski will lead a group of medalists in a discussion. The Sports Journalism Institute is a nine-week training and internship program for college students interested in sports journalism careers. The Institute is designed to attract talented minorities and women to journalism through opportunities in sports reporting and editing as well as enhance racial and gender diversity in sports departments nationwide. 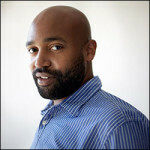 Leon Carter, an ESPN vice president and editorial director of TheUndefeated.com, and Sandy Rosenbush, an ESPN event news editor, will present. The two are co-directors of the Institute. Rea Hederman, MA ’70, has been publisher of The New York Review of Books since 1984. A native of Jackson, Mississippi, Hederman came to The New York Review after a distinguished career in journalism. 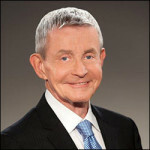 From 1973 until 1982, he was executive editor of the Clarion-Ledger in Jackson, Mississippi. During that period, he transformed what was generally considered to be a racist and journalistically inferior publication into a newspaper that won almost every major national award for journalism. 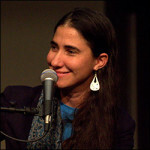 Yoani Sánchez is an acclaimed Cuban blogger, journalist and founder of 14ymedio, Cuba’s first independent daily digital news outlet. In May of 2014, Sánchez combined her passion for journalism and digital media to launch 14ymedio, Cuba’s first independent daily digital news outlet. It serves as a fresh voice in the island, with exclusive national news, highlighting not only political and economic developments but also social and cultural activities.